It’s amazing how we can see a totally different sides of someone on the regular, especially when that someone is being paid to be a different person all the time. As often as we see Dwayne Johnson ‘The Rock’ on the big screen, it’s no surprise that we have seen plenty sides of him. 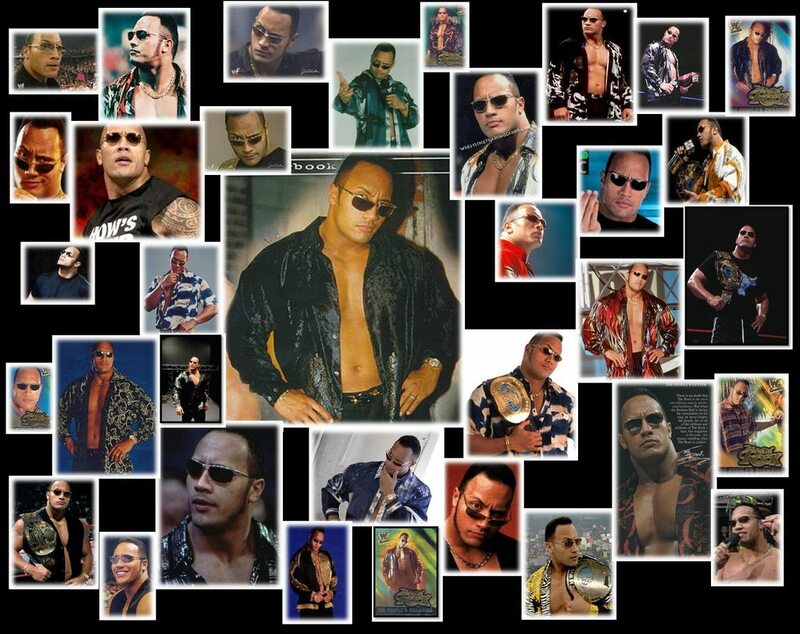 There are people who know the Dwayne we really don’t get to see, the man behind the actor, and today we are going to learn more about them, who knows, we might learn a thing or two about ‘The Rock’ himself. The sub heading should read, ‘Dwayne Johnson’s ex-wife’. As we have mentioned in previous write ups about the actor, he was once married, but obviously not anymore. Her name is Dany Garcia, and here is their story. The two met during their college days and soon after formed not only a romantic bond, but a professional one as well. Dany managed her ex-husband since the early days of his career and she is partially responsible for the brand he represents till date. In 1997 (7 years into their relationship), they took it to the next level and publicly declared their love as they walked down the aisle and Dany became Dwayne Johnson’s wife. It seemed like it was all fun and games till 2007 when the couple called it quits, but it was pretty amicable. They produced two love children, the first being their 15 year old daughter, Simone Alexandra Johnson and the second was their production company, ‘Seven Bucks’. Together, they have raised their daughter and built an empire. It’s still a family affair where they are involved. Dany is currently a very busy woman, but she sticks to a strict schedule and is continuously pushing to build her brand. Apart from managing Dwayne, she is a bodybuilder and she takes that very seriously. She also runs a management company, the Garcia Companies, which oversees the running of Seven Bucks Productions, the Team Rock Enterprises. As if managing his professional life isn’t close enough, Dany’s new husband, Dave Rienzi, oversees her ex-husbands fitness regimen. Yes people, he’s his personal trainer. If they find it awkward, they know how to keep it a secret. No other woman has won the title of Dwayne Johnson’s wife, but Lauren Hashian, his grilfriend of 9 years, has come pretty close. As of last year, the two welcomed their adorable bundle of joy, Jasmine, into the world. People are still ‘watching that space’ to see if there’s a wedding in their future. The actor has two of them, each from different mothers as you might have already deciphered. The family is pretty private but we will glean all we can, because that’s what we do. 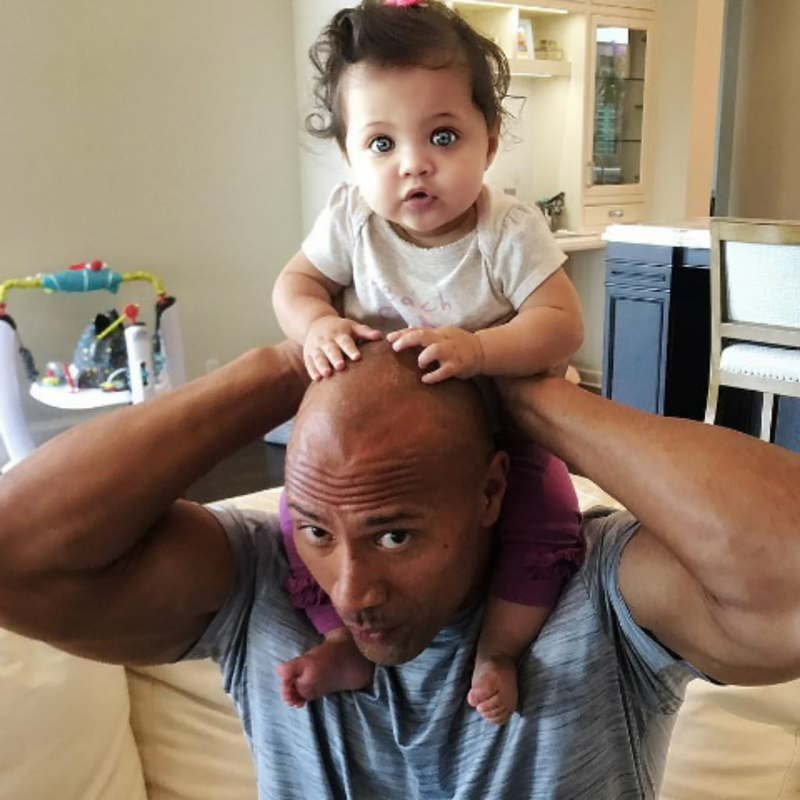 While Dany Garcia was still Dwayne Johnson’s wife they had their first daughter, Simone. She was born on August 14, 2001 in Davie, Florida, America. Most of the times that Simone is spotted, she is in the company of her father. Believe us when we say, they take some of the cutest selfies together. 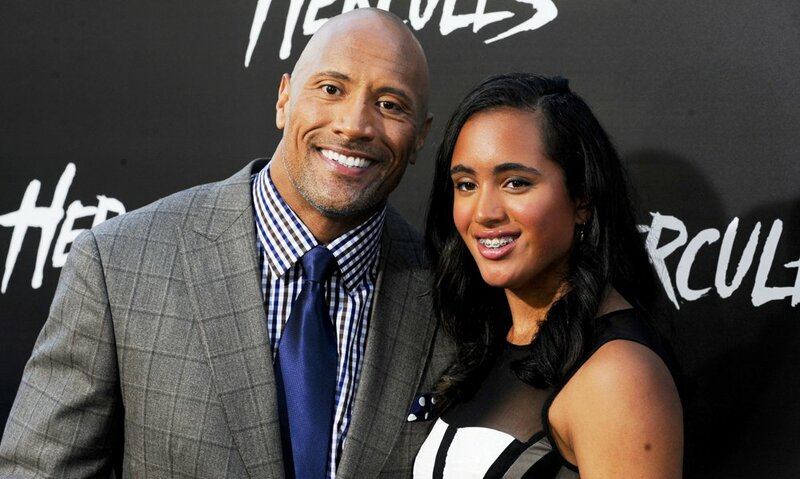 Despite being very private, she admits that it is hard to keep a low profile when your father is Dwayne Johnson. She’s doing a pretty good job though. The news of her parent’s divorce must have hit her hard, especially when the cheating rumors started flying around. Her parents did the best they could to shield her from it all and today they all share a very loving relationship. She recently became a big sister and rumor has it that it’s all very exciting to her. We want proof Simone, unleash the selfies. He then added, ‘Thank you guys so much for the awesome congratulatory wishes and love you’ve been sending @laurenhashianofficial and myself. We’re extremely grateful.’ Dwayne wrote a lot more, you can check out his heartfelt caption on Instagram. The star does not hesitate to show that when it comes to his girls, he’s a big teddy bear. His Instagram page is a testament to that, you can find all sorts of cute moments that the actor shares with his daughters.